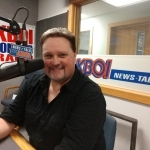 Boise (670 KBOI News) – A bill which would ban using handheld electronic devices — like cellphones — while driving in Idaho, is on its way to the full Senate for a vote. Senate Bill 1064 cleared the Senate Transportation Committee on a 6-2 vote. It would require drivers to use hands-free devices only, for talking or using GPS while driving, and allow in-ear Bluetooth devices in only one ear. Caldwell Senator Jim Rice sponsored the bill…he says it would have a graduated fine structure. Fred Birnbaum with the Idaho Freedom Foundation spoke out against the bill, saying it would be better to tighten the current state law against distracted driving. A similar bill was rejected 22-13 by the full Senate last year.